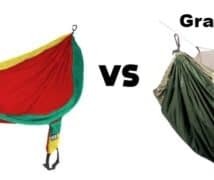 For the next 5 minutes, this write up will take you back to the camping site where you will understand the value of a perfect cot. This particular thing can either make or break your sweet dreams if you don’t get a good one. So, are you excited to meet a great cot? Because here we have come with some Coleman Trailhead II Cot Reviews. Trailhead II is one of the great cots of Coleman brand that will give you a vibe of camouflage. Because the brand has designed it that way. 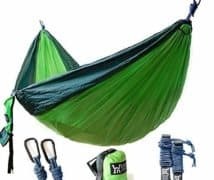 However, to mention its highlighting features, you will love its collapsible and portable perks for your camping. 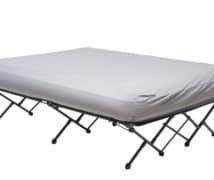 Coming in a big sized bed that measures 75 by 35 inches when unfolded, it will be able to accommodate you easily even if you are someone taller and heavier. The X-frame is also one of the reasons that makes the cot a very convenient one. With its 6 legs and 4 side poles, the brand has boasted enough about its supportive and strong construction. Not just that, you cannot stop yourself from admiring its easy portability after you will fold it. It is able to pack up to 36 by 7 inches and can be a great space-saving bed. Besides, the cot also has pocket so you can stuff your gears within reach. And this is how the features can impress you to go and grab one. Out of all the narrow shaped cots that have given much inconvenience to the people, Coleman Trailhead II went to the opposite direction. The cot has the structure just like the standard one so that you can get all the comfort while lying on it. It is not only able to accommodate someone who is around 6 feet 2 inches taller,but can also hold one weighing 300 pounds. 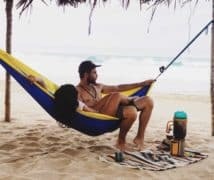 So, the Trailhead II Cot has targeted a bigger range of people who can have it and use it easily. Because, the taller and heavier people know how hard it is to find a big sized cot for camping. And if you are getting such perks with this cot, then why not go for one? Talking about the most plus point of this cot, it’s the comfort that can impress the people. It’s high enough off the ground so you can sleep on it easily. It’s not only the comfort of its portability that will amaze you, there are more perks. Be its easy assembly or its convenience, people have enjoyed a number of benefits from Trailhead II. To be honest, a giant sized cot like this and in a reasonable price is nothing but a wonder. Majority of the users have felt the price to be in the low range so a variety of people can afford it. And if you have tight budget, then you don’t have to worry at all. Besides, when it comes to its guarantee, if you order the cot from an online site such as Amazon, you will get a 30-day replacement warranty. To add a cherry on top, the brand has its own 1-year warranty to offer for their cot. And that is another big convenience. Besides, people who purchased from Amazon has got a lot of perks. They have appreciated quite a lot about the site’s fastest delivery within budget-friendly range. Although, some users have experienced damaged item due to shipping glitches, but they were happy as well after having it replaced for the warranty. You can fold and unfold the product. The compact size is easy to transport and store. There are pockets to keep the stuffs within your reach. Comfortable to sleep and sit on. High enough off the ground. Able to hold people weighing 300 pounds. Able to accommodate people around 6 feet 3 inches taller. The cot is pretty heavy to lift and transport. Product can get damaged due to shipping glitches. One person cannot assemble and disassemble the cot alone. Some people found its stitching to get ripped up after use. People over the mentioned weight and tallness will not be able to use the cot. The stability bars at the top and bottom might not be up to the mark. I’m around 290 pounds and this cot does work like a champ! Q: How much does the cot weigh? 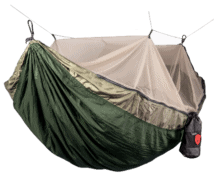 Ans: The Coleman Trailhead II Cot weighs around 18 pounds. Q: I am 6 feet tall and weigh 260 pounds. Can I use it? Ans: The cot is able to accommodate people up to 6 feet 2 inches tall and ones weighing 300 pounds. So yes, you can use it. Q: What is the sleeping width of the product? Ans: The sleeping width of the product is about 3 feet. Q: What are the folded dimensions of the cot? A: The folded dimensions of the cot are 36 by 7 inches. See, you reached the end of the write up pretty soon and got to understand how impressive the cot can be. 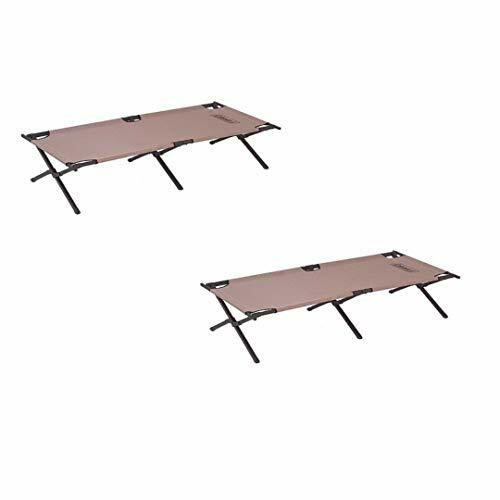 Since finding a big sized cot is really tough for camping, the Coleman Trailhead II Cot Reviews will help you make a decision of whether you should go for it or leave it. Because, we understand how much important it is to have an ideal cot in the campsite.